ATLANTA, Nov 2, 2011 / — It began yesterday… white became the new red. Coca-Cola and World Wildlife Fund (WWF) are joining forces in a bold new campaign to help protect the polar bear’s Arctic home. 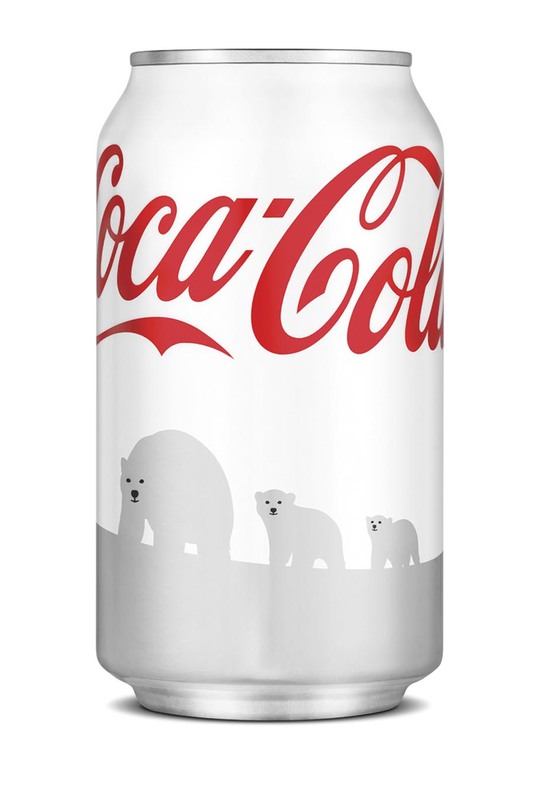 For the first time ever, Coca-Cola is turning its iconic red cans white in celebration of the polar bear and committing up to $3 million to WWF’s polar bear conservation efforts. The Company is also asking fans in the U.S. to join the “Arctic Home” campaign by texting donations. “We want to help the polar bear—a beloved Coca-Cola icon since 1922—by helping conserve its Arctic habitat,” said Muhtar Kent, Chairman and CEO of The Coca-Cola Company. Coca-Cola is making an initial donation of $2 million to WWF and inviting others to join the effort. Anyone who wants to help the polar bears can text the package code to 357357 to donate $1 to WWF. They also can donate online at ArcticHome.com, starting November 1. Coca-Cola will match all donations made with a package code by March 15, 2012, up to a total of $1 million.